I participated in a campaign on behalf of Mom Central Consulting for Huggies® Brand. I received product samples to facilitate my review and a promotional item to thank me for participating. Babies are so expensive! From formula, to bottles, to all the gear to come with them, babies can really stretch a families budget. One way I have helped with the expense is to find amazing deals on diapers to help ease the monetary pain felt with a young one. I love finding great diaper deals and then stocking up on them so I don’t have to run to the store late at night after realizing that I don’t have any more diapers for Caroline. I have mentioned in the past that I hate clipping coupons. I do it when I really need the item and I don’t want to pay full price, but I hate it. It just takes up too much time. What I love is getting a great deal without having to work at it. I know, don’t we all? Well if you are a Costco member you can save BIG on diapers and wipes this month! Right now you can visit your local Costco Warehouse and buy Huggies® Snug & Dry Plus Diapers and Huggies Natural Care® Plus Wipes and get $6 off diapers and $5 off wipes instantly! Thats right, without having to cut a coupon! (Savings valid 8/7-31) Think of what you can do with an $11 savings! Remember, Huggies® Snug & Dry Plus Diapers and Huggies Natural Care® Plus Wipes are available exclusively at Costco. You can’t buy them anywhere else. Right now you can even get a free sample to try them out for yourself! 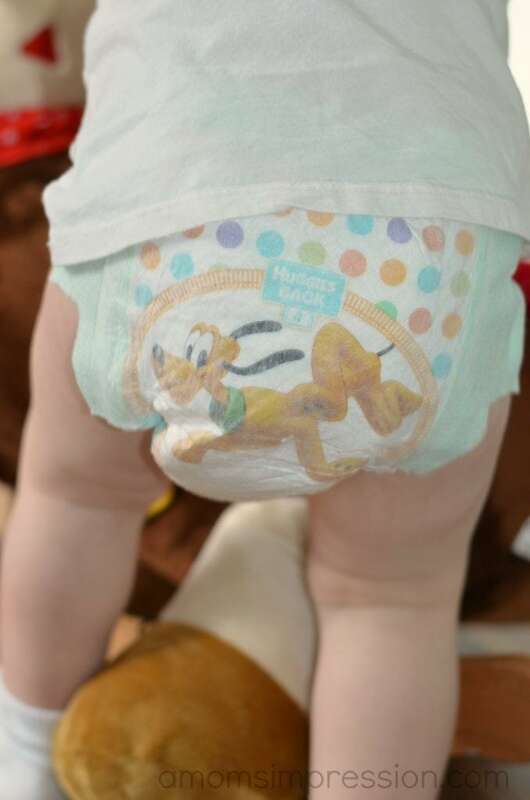 You can check out my review of these diapers here! In the meantime, be sure to follow Huggies on Twitter for all up to date deals and information! Thanks for the info and how cute is that pattern! Ohh how cute. 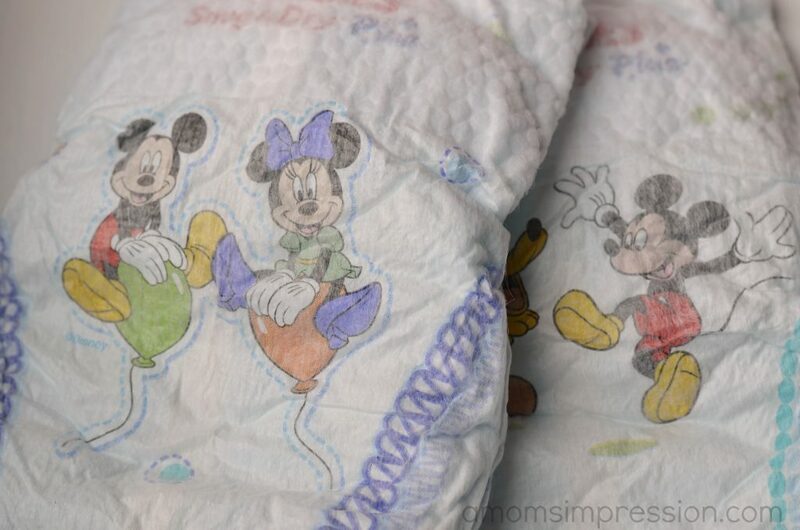 I love that Mickey and Minnie are on the diapers. These are just adorably cute! Thanks for the coupon! I will share with my friends. Love those chunky thighs! They have such adorable designs! Thanks for the free offer, my sister is expecting so this willl come in handy! Sounds like these Huggies work great! My friend has a Costco member and a new baby. I’ll have to share this with them. $11 is a huge savings! I wish I were better about coupons, but if I cut them I forget them. This deal makes it so easy to save! What a great deal and without clipping coupons, sweet! I will have to share this deal with my sister. She became a Huggies loyal after a review and visits Costco on a regular basis as well.